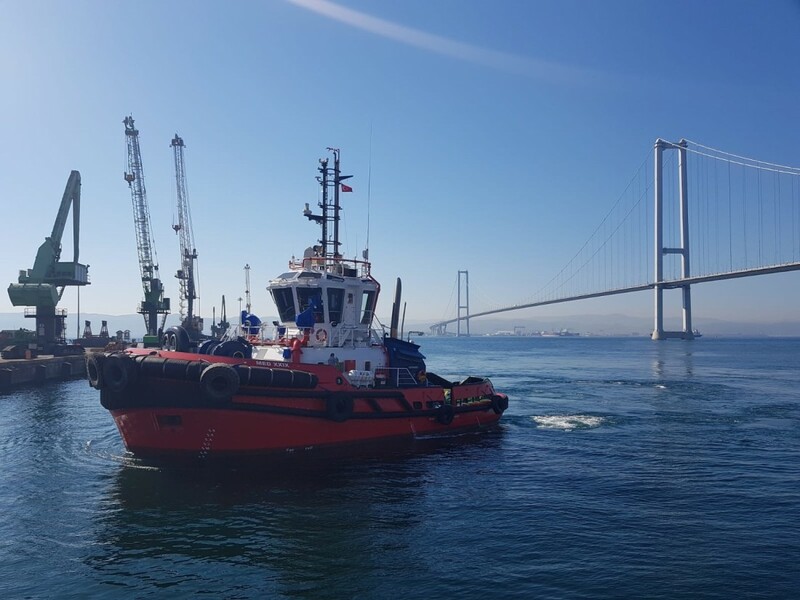 Med Marine’s new tugboat, MED XXIX, sailed through Istanbul’s Bosphorus and joined Med Marine’s national fleet in Dilovasi, Izmit. 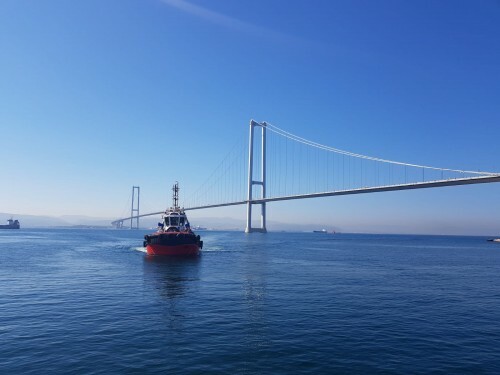 The vessel is a Robert Allan Design RAmparts 2300-MM tugboat, designed exclusively for Med Marine; just like other 5 units which joined Med Marine fleet in different locations in the last six months. A pair of powerful Caterpillar 3512C diesel engines develops a total output of 2 x 1.380 bKw at 1.600 rpm with a free sailing speed of 12.0 knots and bollard pull of 50 tons. 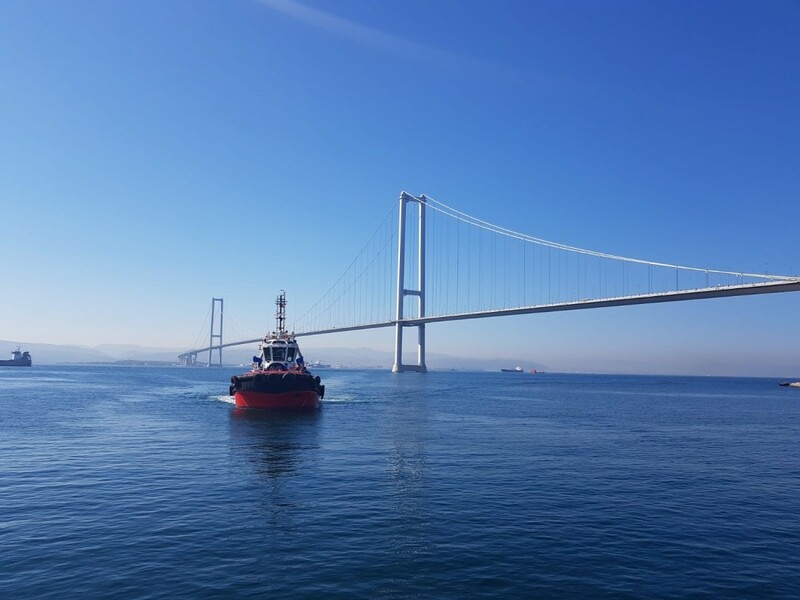 Two Caterpillar C4.4 gensets provide total 2 x 86 ekw electrical power for vessel services, including the deck machinery. 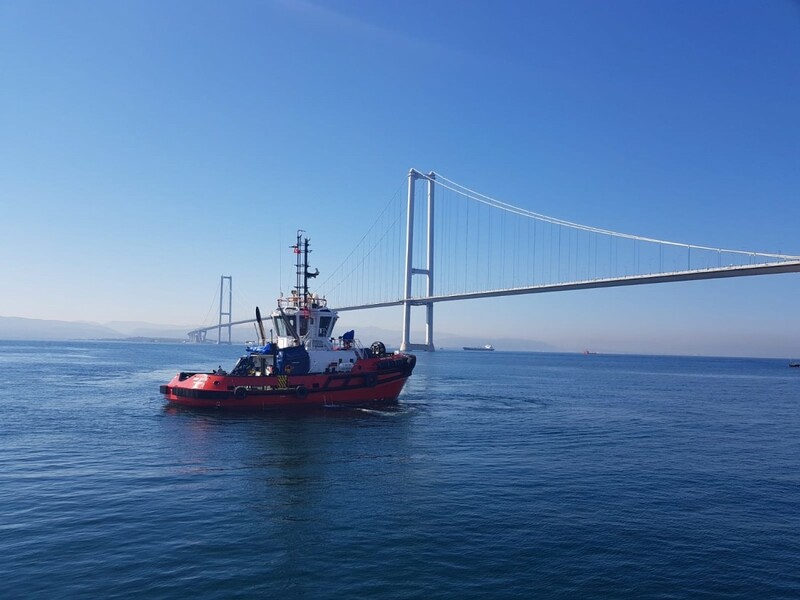 Just like its sisters, MED XXIX drives two Schottel SRP340 azimuthing thrusters with fixed pitch propellers of 2,100 mm diameter. 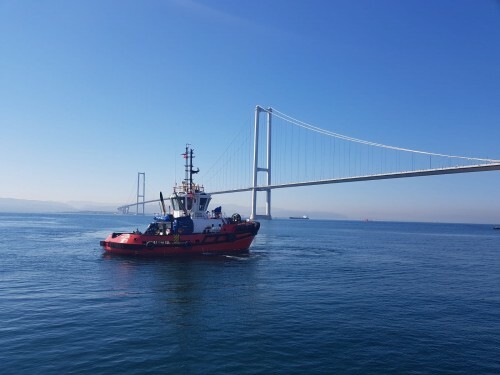 Diesel-driven fire-fighting (FiFi) pump for the tug’s FiFi E system is mounted on one of the main engines and can deliver 1,400 m3/h to two electrically-controlled monitors.